commented on "Huangshi, China delegation member Luo Guanghui looks at a copy of my book about Appo Hocton during a meeting today in the Nelson City ..."
Huangshi, China delegation member Luo Guanghui looks at a copy of my book about Appo Hocton during a meeting today in the Nelson City Council chambers, marking 20 years of their sister city relationship. 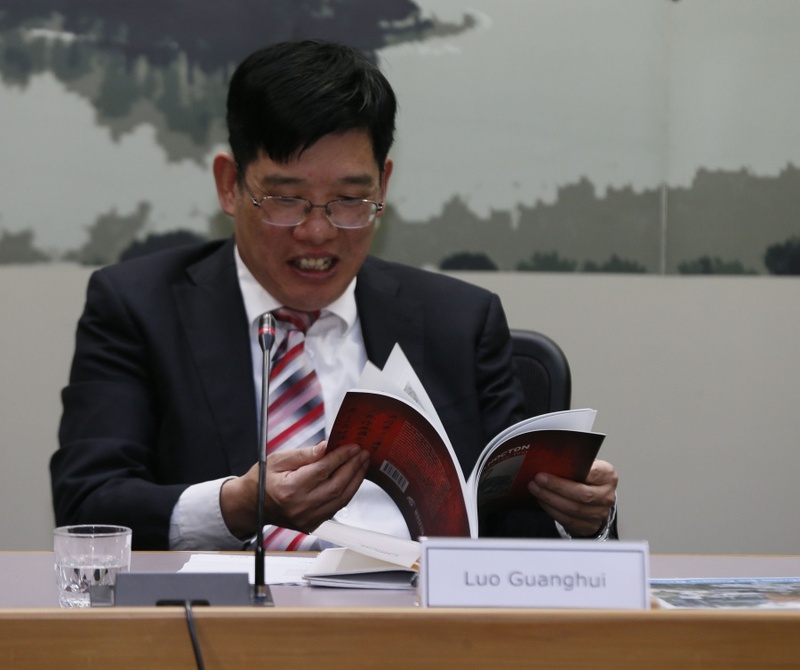 Each of the delegation was presented with a copy of the book, which is about New Zealand's first naturalised Chinese immigrant. Appo jumped ship in Nelson in 1842 and spent many years working hard to save money to set up his own business, first in road construction and then building. He built a number of tiny wooden cottages in Hastings Street, Nelson, which survive to this day. Appo married twice (to English women) and had four children. He ended up farming in Dovedale, where he died in his early 100s. Several of the houses he built for his family are still in Dovedale, although only one is lived in.